Liz Lumley is a global specialist commentator on global financial technology or ‘FinTech’. 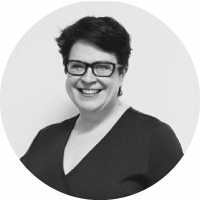 She has spent over 20 years working in the financial technology space, most recently as Managing Director at Startupbootcamp FinTech London and as an editor at financial services and technology newswire, Finextra. In addition to being an internationally recognised conference speaker and moderator, she is also a regular contributor to several well-known podcasts including Brett King’s Breaking Banks on the VoiceAmerica Business channel and FinTech Insider from 11.FS. You can read her regular thoughts on her journey through FinTech and global startups on the blog Girl, Disrupted at Girl, Disrupted. I answered an ad in the New York Times in 1994 for a real-time market data publication looking for a reporter. I barely knew what a stock was at the time. I saw the words ‘reporter’ and ‘New York’ and applied. It was for a few publications that covered real time market data and trading floor infrastructure at investment banks. I got the job. In October 1994, my Dad drove me down to NYC, with my three suitcases, and I started my career in FinTech. I interviewed the CIO of Goldman Sachs for 90 minutes. She talked about everything, from her caution around Microsoft, to how long it took her to get ready in the morning (15 minutes). I wrote and rewrote this interview, and read it outload to an empty office at 1 am, then rewrote it again. Was it the best thing I have ever written? No. Was it the best interview I have ever done? Not even close. Did my editor publish my story in the main glossy magazine, with minor edits, and smile? Yes, he did. This was the start my my journey. FinTech became my new path. Open Banking – Banks need to stop the PR attack and realise open banking means they will become the platform for Finance 2.0. If they think it is a threat – they will not be around in the next decade. Cultural Change – Progress and innovation get stopped by people who say ‘no’. 90% of ‘nos’ are not because of risk management or cautiousness – they are because of fear or from a misguided belief that their ‘no’ gives them power. The entirety of the banking sector needs to be upended and shaken. I want retail financial products developed by people who reflect society at large. I want investment practices that strengthen society as a whole – not make a few wealthy. I want trade management that is seamless, efficient and enhances, instead of hinders, business. I often speak at events. Without fail I often get women, female founders (a huge percentage being women of colour, BTW) coming up to me afterwards, introducing themselves, asking for advice or for a contact, five minutes of my time. I have a shoebox full of business cards from these entrepreneurs. I sometimes lie awake at night, feeling guilty that I couldn’t give them more of my time, introduce them to more people. (I have bills to pay). But their existence gives me hope, offers me a retort whenever a man tells me (with such authority) that ‘there are no female founders’ and they inspire me to start a new business (TBC). Those are the FinTech influencers who inspire me. The women, who are passionate about their business, who get up every day and move forward – with most of the industry telling them horror stories and claiming they don’t exist – in order to build their companies. OUTSIDE OF FINTECH WHO ELSE INFLUENCES YOU? Any woman who speaks up, voices her views, and presents herself as confident and as a leader– influences me. Just those very acts – as a woman – is an act of defiance. You are doing everything the patriarchy (the patriarchy as a system – not as a group of men) tells you, you are not allowed to do. These women do not ‘bringing a folding chair’ to a table built by men, designed for men, and populated by men. They are not waiting around to be given ‘permission’ to play with the big boys. These women are building their own table – I get tremendous hope from that. I offer public speaking – both physical events and podcasts – event development and curation, and content creation.